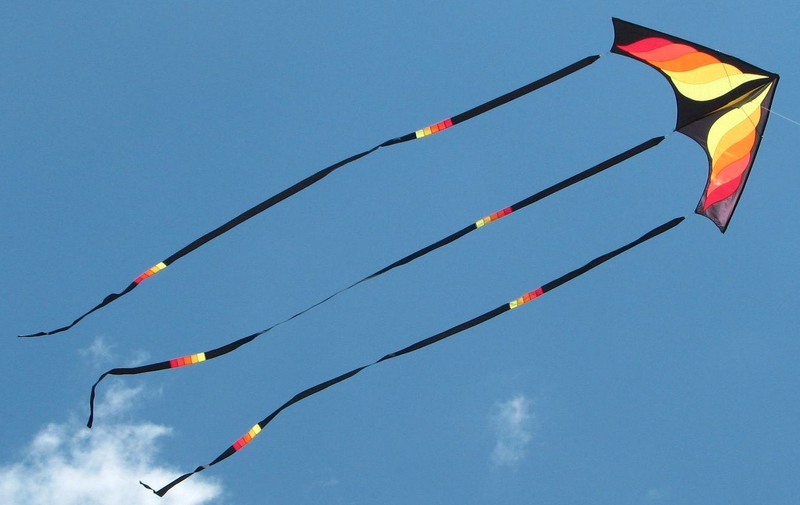 You are currently browsing the tag archive for the ‘kite news’ tag. 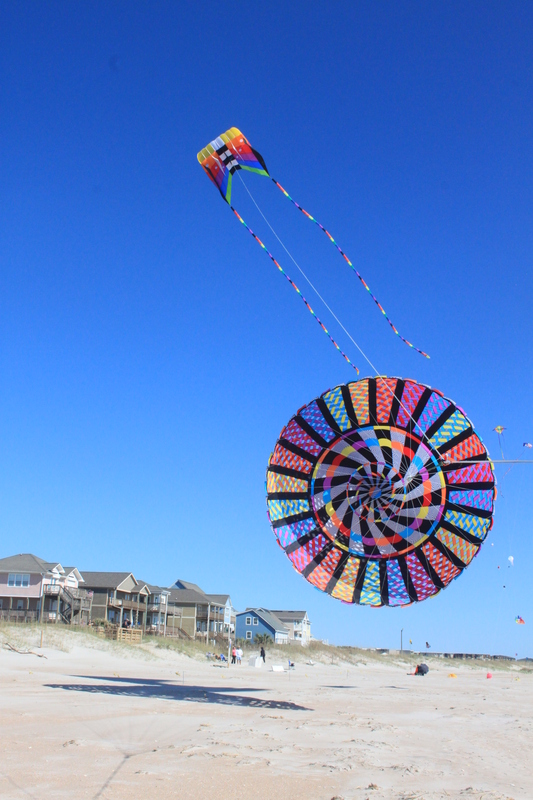 After the busyness of kite building and kite festivals, we took a week off and went on a vacation. 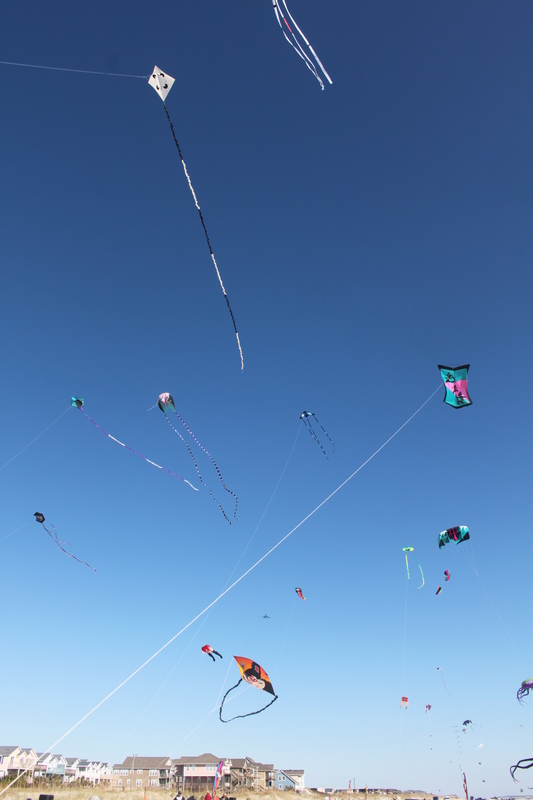 This meant we missed the usual community kite fly last Sunday. 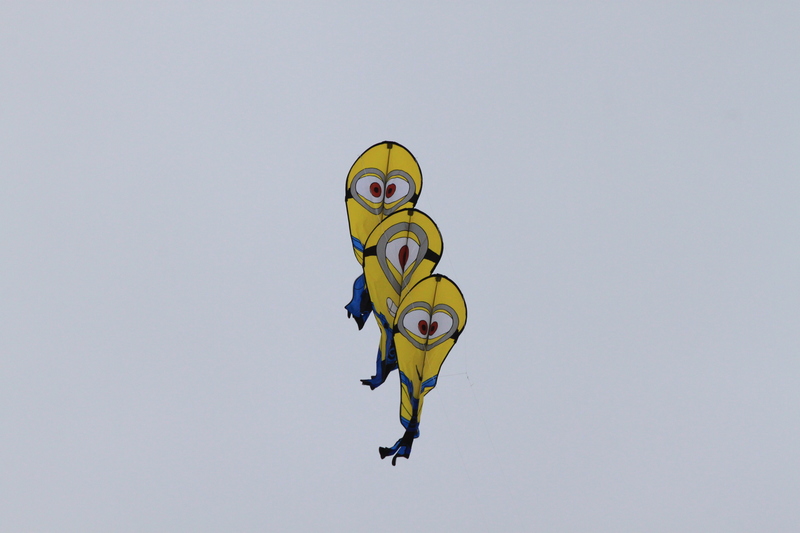 Turns out it was canceled due to cold weather and high winds (which made it even colder). 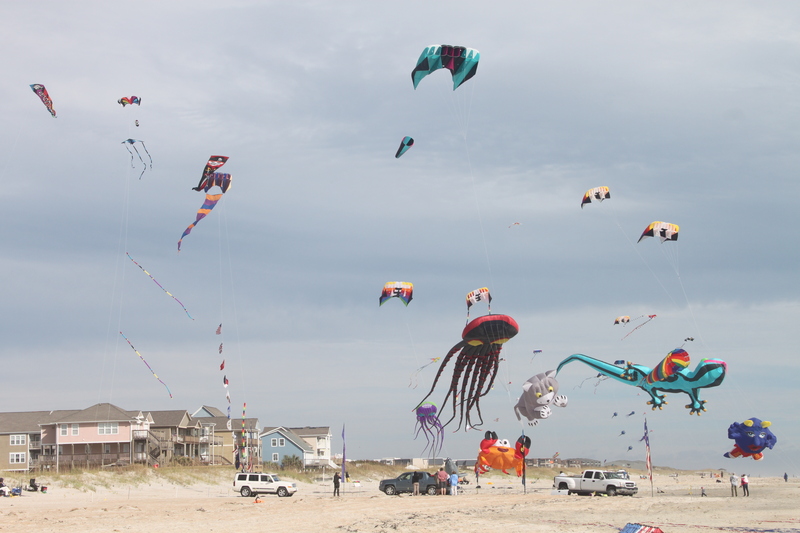 However, we took a number of kites with us to fly on the beach at Myrtle Beach, SC. 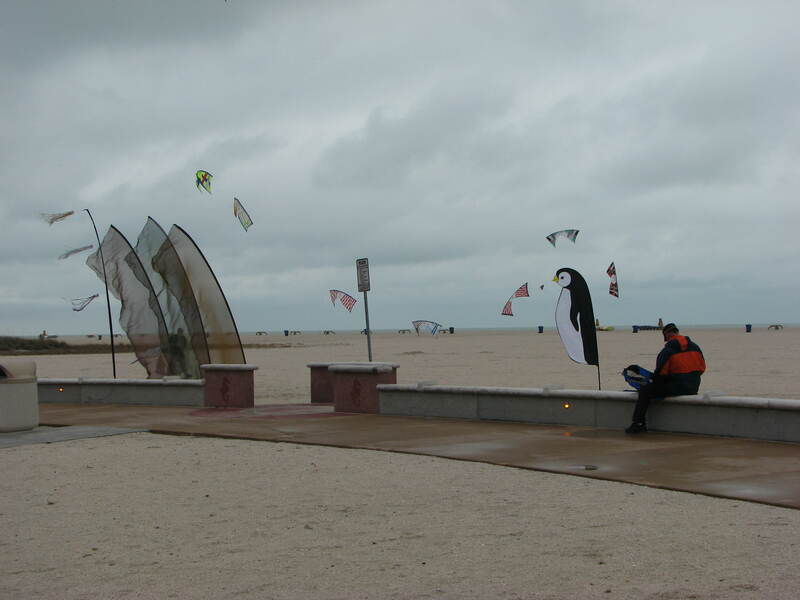 The weather didn’t cooperate much better there. We had a couple of days of rain. In between there were days of low temperature and very high winds. Yes, I wimped out and stayed indoors on those days. 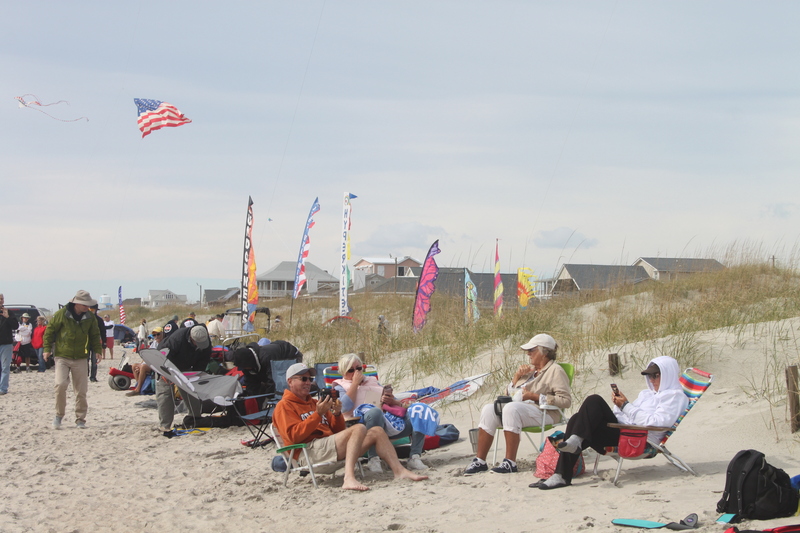 Then there were the sunny days with very low winds or moderate winds being blocked from the beach by the condominiums. And the condominiums line the beach from one end to another. So frustrating. Yet, we tried. 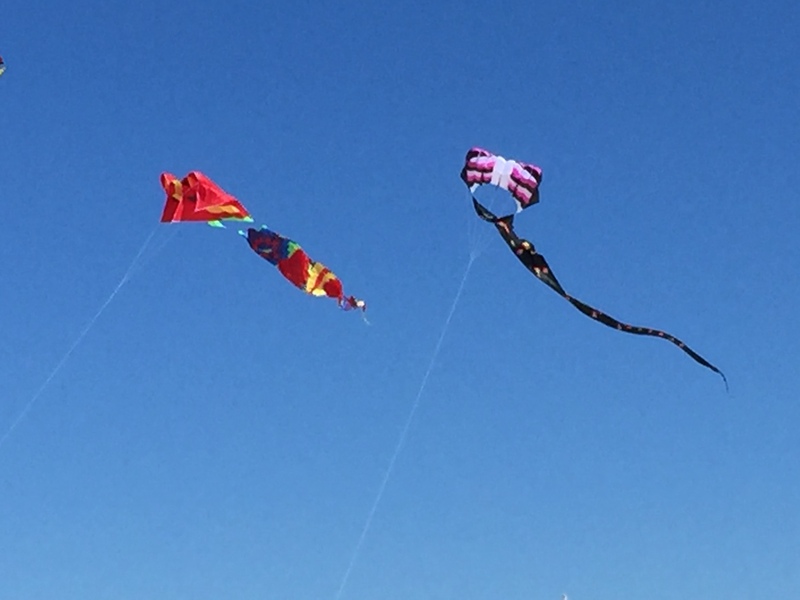 Got out the light wind bag and pulled out several kites. The Skate would go up and then glide gracefully back to the ground. 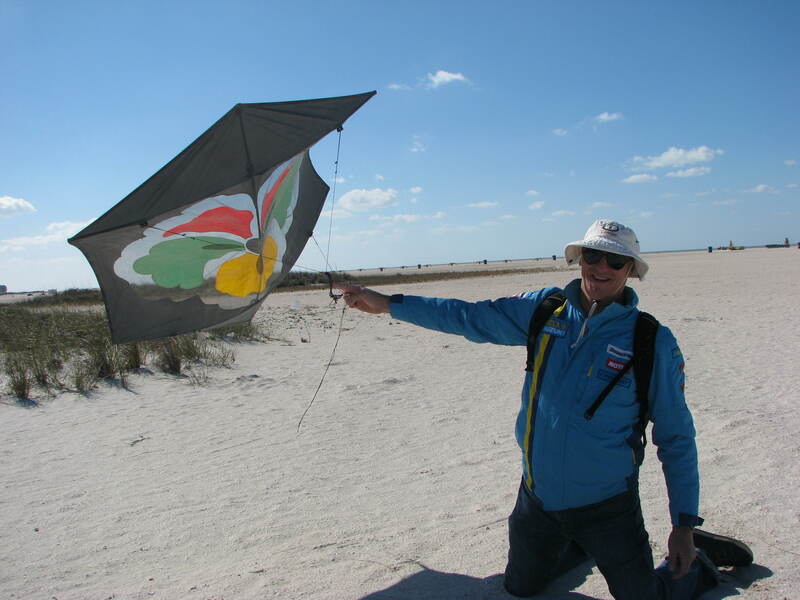 The Dunton-Taylor box flew the best but would over-fly in a gust and do a nose plant in the sand. 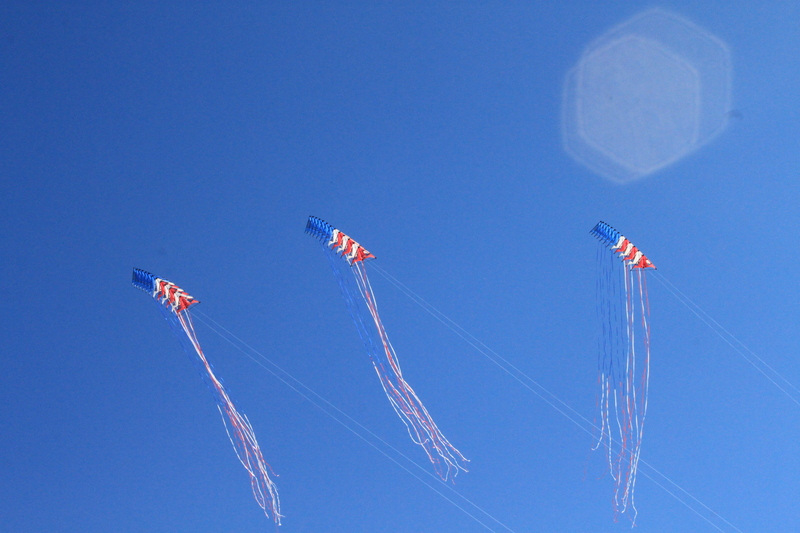 The Dunton-Taylor box with banner tail did not over fly but did mimic the Skate and glide down shortly after launch. So much for flying on this vacation. All was not lost, however. 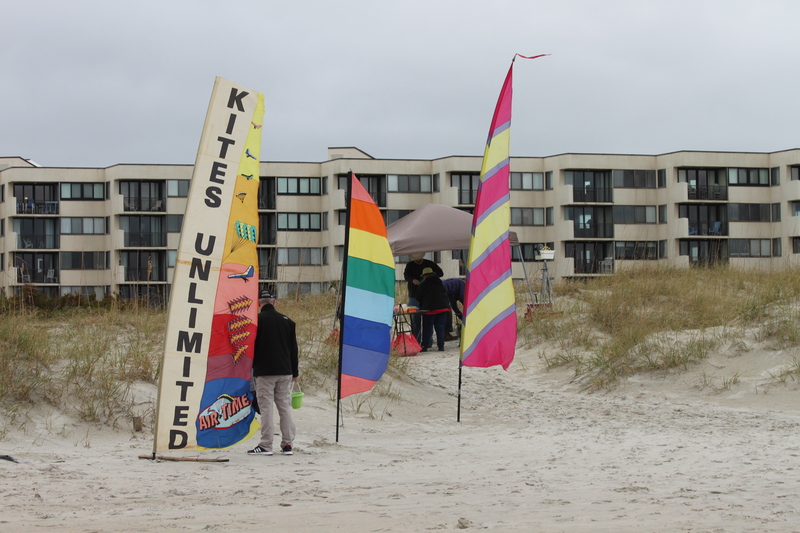 On those rainy days we went to the local kite shop, Klig’s Kites in North Myrtle Beach, SC. 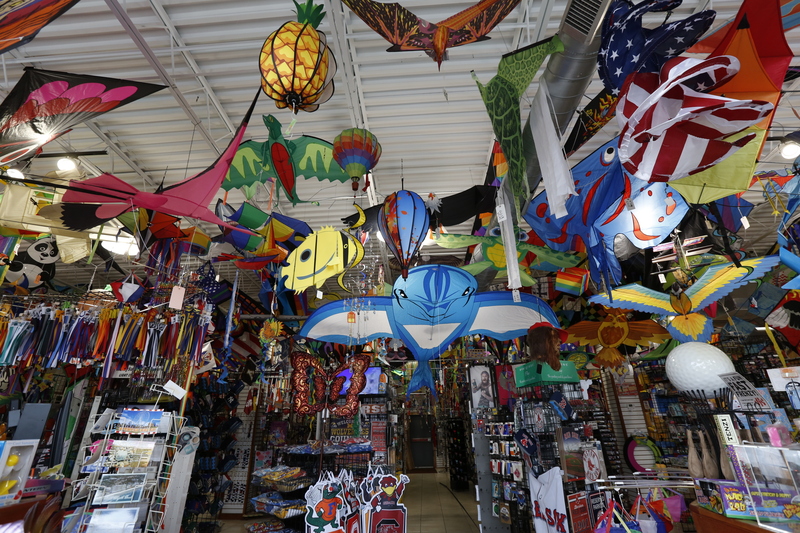 Be prepared to get a crick in your neck as I’ve never seen so many kites hung from the ceiling and the walls as there are at this shop. We had a great visit with Lauren while we were there. 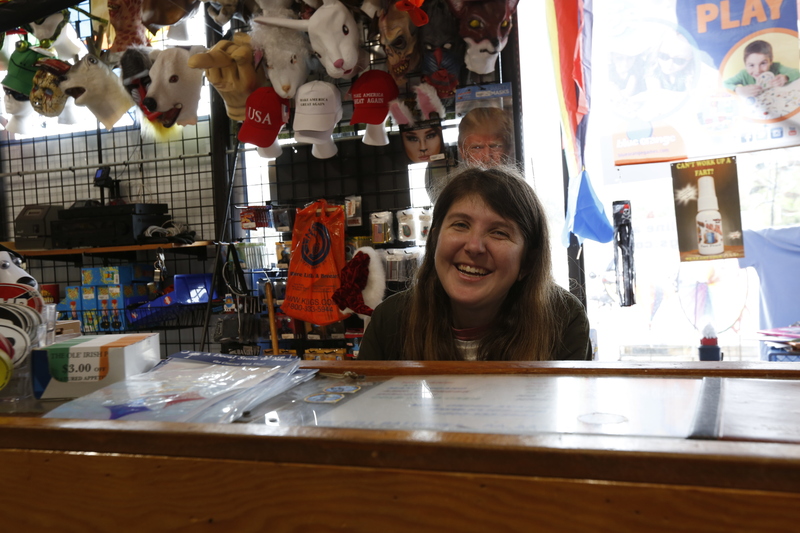 She is very knowledge about kites, fun to visit with, had some places and people in common with us and doesn’t mind at all when she has to use a ladder to get a kite down that you are going to purchase. In fact, she had to use the ladder several times during our visit. We thoroughly enjoyed spending time there and are looking forward to our next visit. 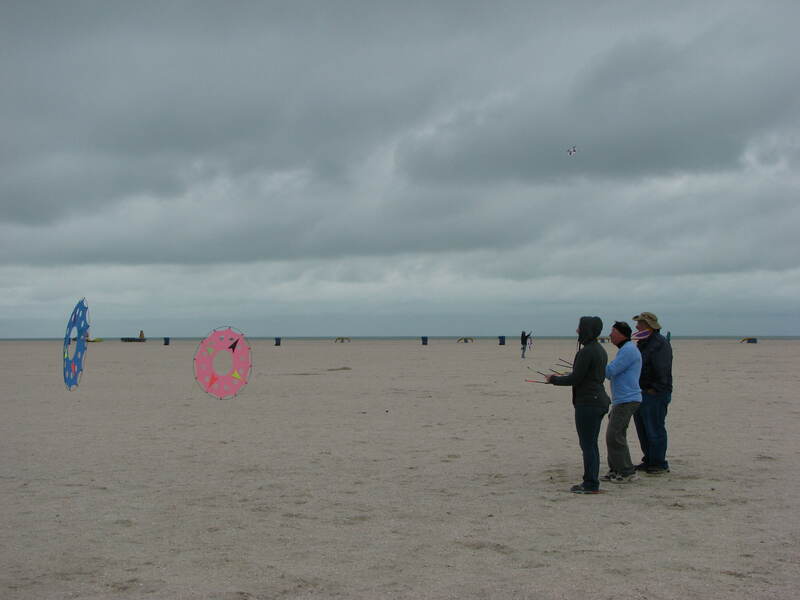 After some discussion, we decided to broaden our scope and travel a little further to attend some kiting activities. 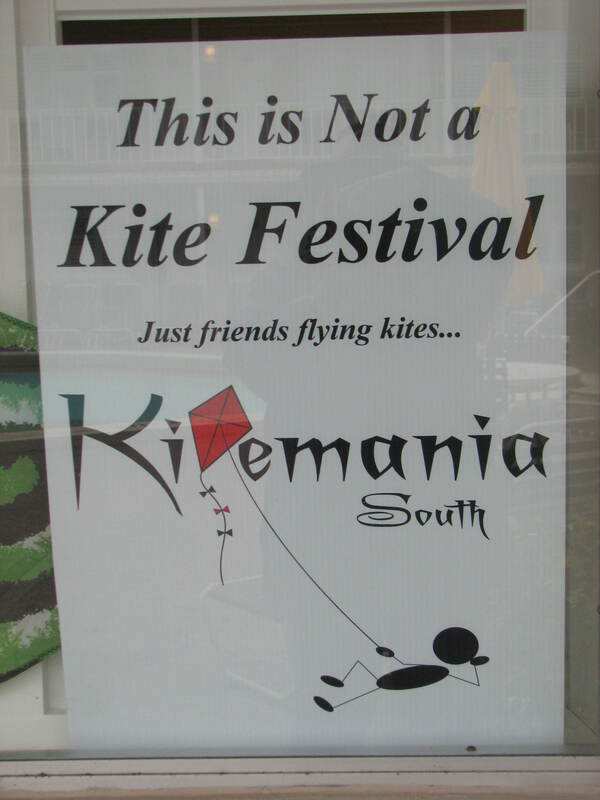 From what I had seen online, Kitemania South seemed like just the gathering we would enjoy and it wasn’t too far to drive. So plans were made and off we went to Treasure Island, FL. We arrived a day early in order to get our bearings and a little rest after the two-day drive. 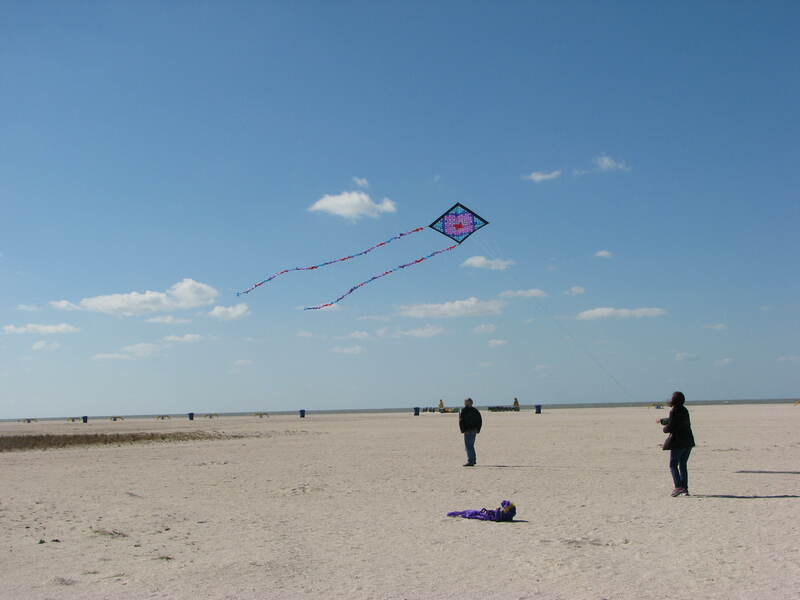 I did get out on the beach for some flying. 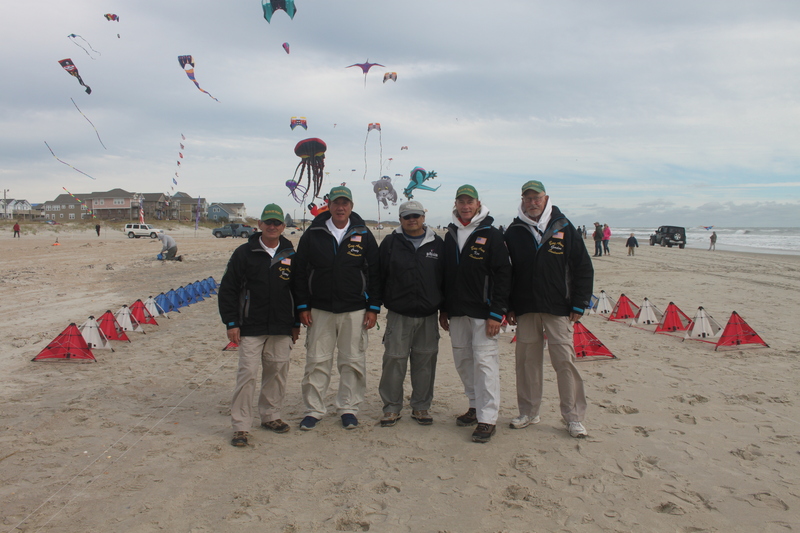 Winds were light and gusty and the temperature was cooler than it should be. 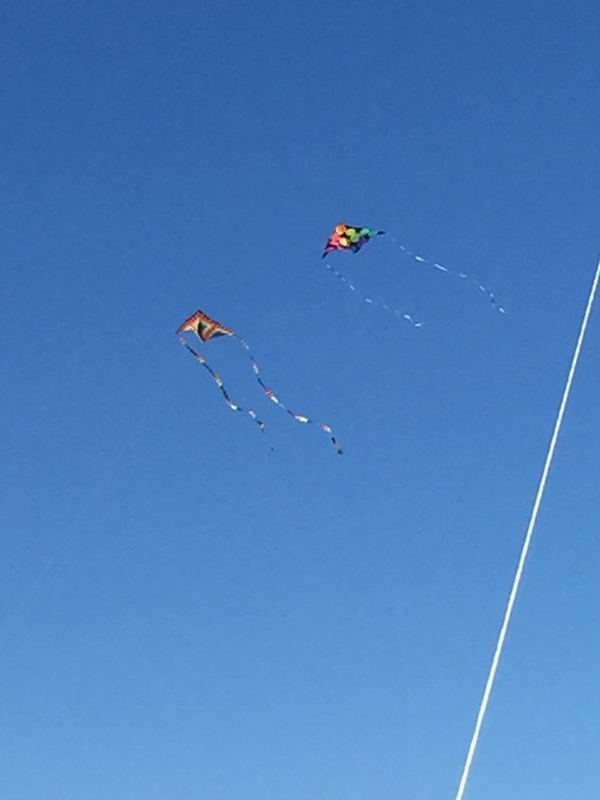 But I did get up a couple of kites. 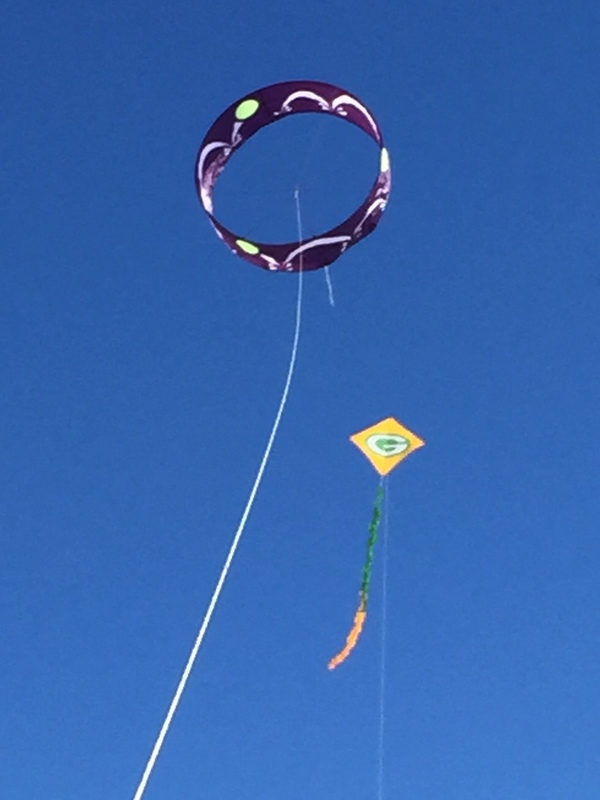 I was especially pleased that my mini-circoflex flew. I hadn’t had it out of the bag in quite some time. 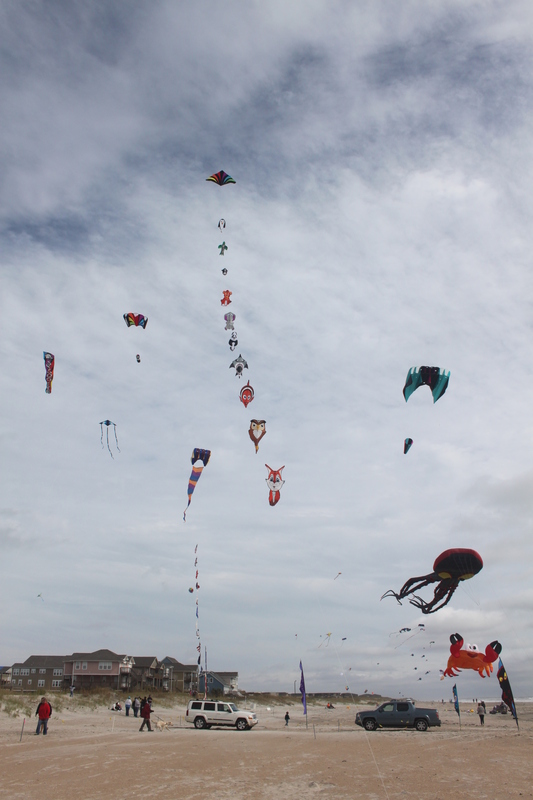 There were several other kite flyers taking advantage of the day. Several deltas and couple of large flowforms were in the sky also. Saturday started out promising. I got out early and flew my Dream stack. 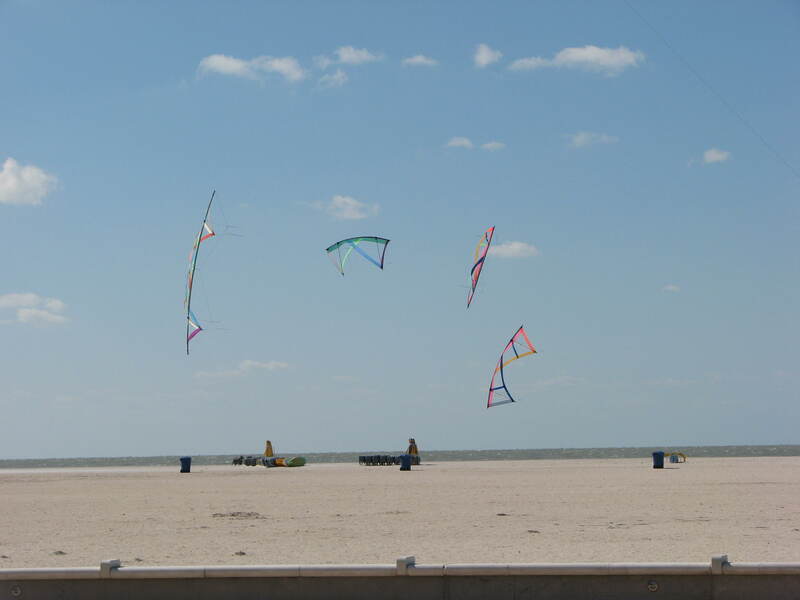 It took a little work to find enough wind and I ended up quite a ways down the beach from our hotel. Like most resort beaches, the high-rise hotels and condos block any wind not coming off the ocean. It was a satisfying start to the weekend. Then the gray clouds moved in. 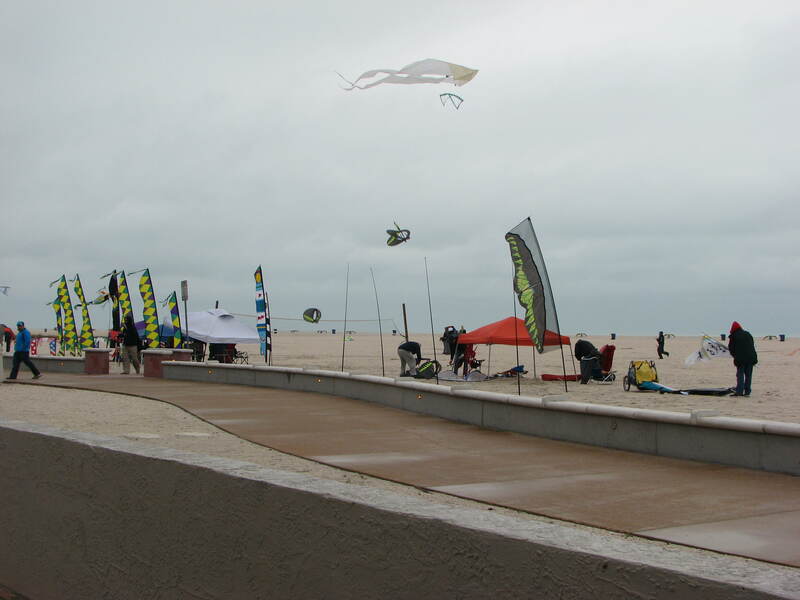 Of course, the lack of sunshine does not stop kite flyers from doing their thing. 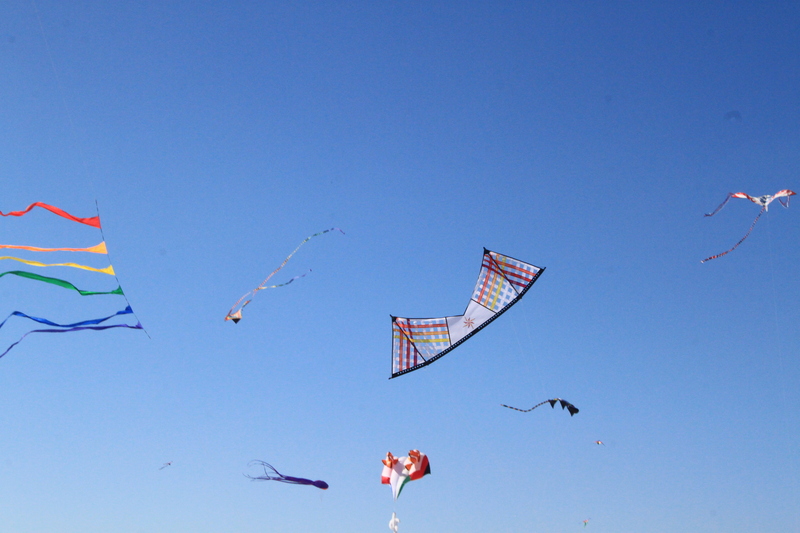 Canopies were erected, banners set out and the kite flying began. Unfortunately, the day did not continue in this fashion. 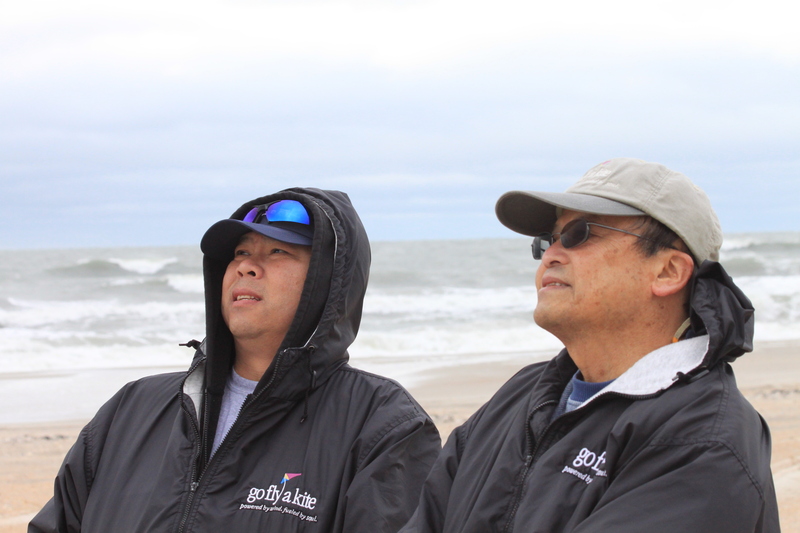 Along with the colder temperatures came the rain. 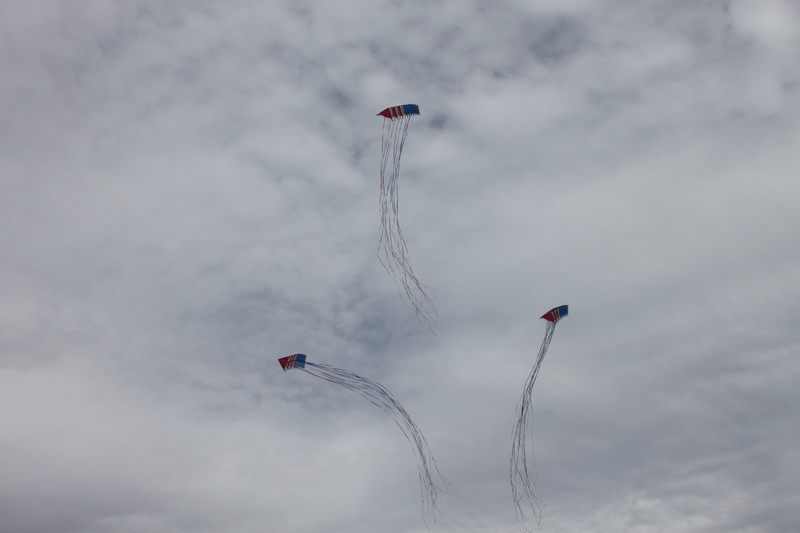 For most of the morning, the flyers huddled under the canopies, coming out to fly in between showers. But eventually the rain won and we all retreated to the covered patios to visit and exchange “feathers”. Ah, yes, the “feathers”. 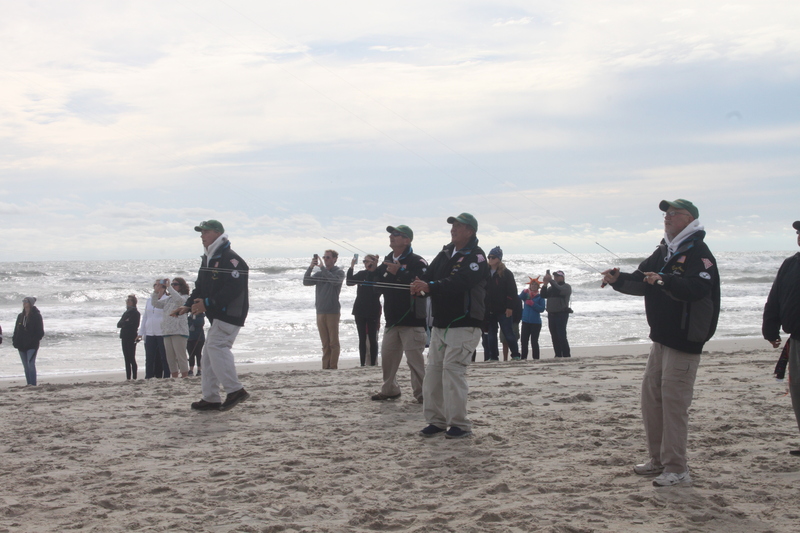 An activity that was unique to this gathering is the exchange of “feathers”. 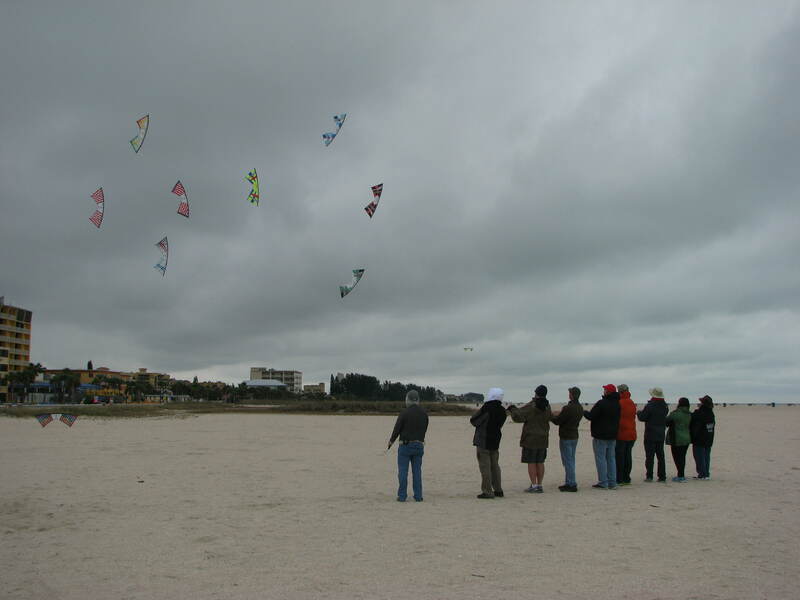 Those attending this gathering create feathers out of ripstop nylon, tyvek, fabric, paper or anything that is at hand. The feathers are then traded as the weekend goes on. The trading brings old friends together and gets everyone actively involved in meeting new people. It almost becomes a competition to get as many feathers as possible from as many people as possible. The range of creativity is amazing. 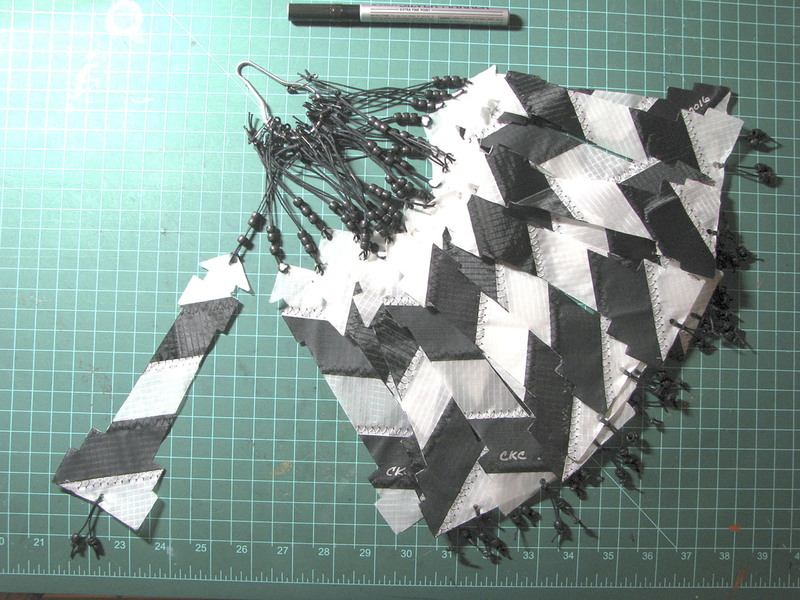 The feathers are sewn, glued, painted, dyed, printed and colored with markers. And are made in all shapes and sizes. A couple were even made out of actual feathers. 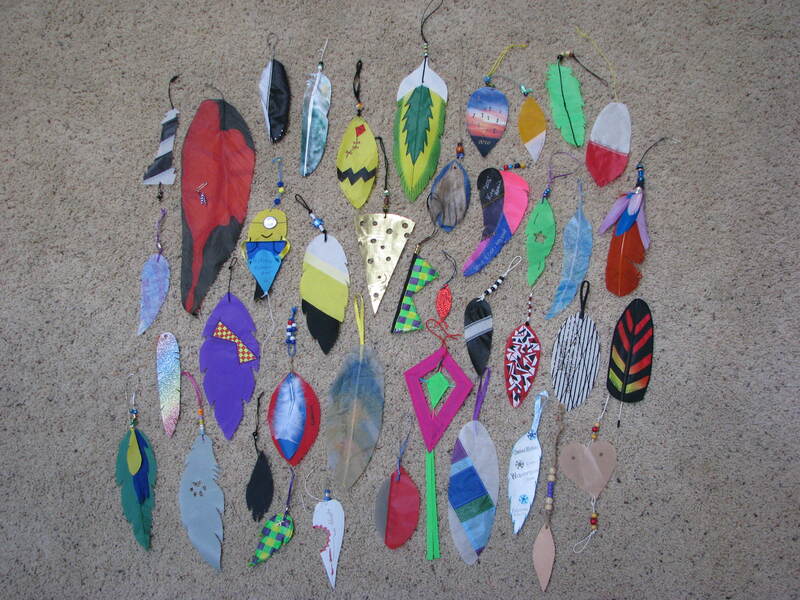 Each feather has a story and will trigger memories of this gathering for a long time to come. 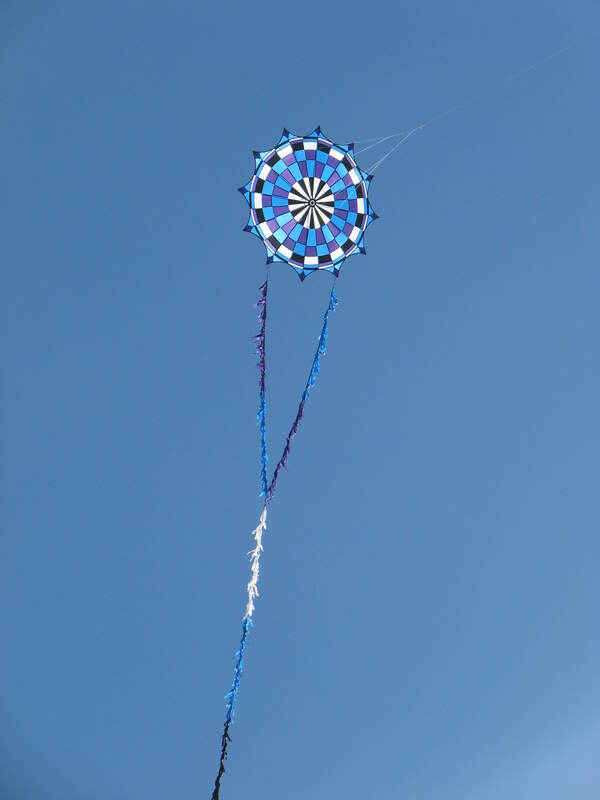 I made what I felt was a distinctly North Carolina feather, the Hatteras Lighthouse. Then, after trading all weekend, I came home with around forty new feathers. And I’m already thinking about what I’ll be making for next year. Thankfully, the rain stopped in the evening and there was some night flying. This included a ghost delta and some other deltas of varying sizes with programmable LEDs. They were beautiful. Unfortunately, I wasn’t able to get any decent images. Just blurs of color in a black sky. Sunday was windy. Very, very windy. 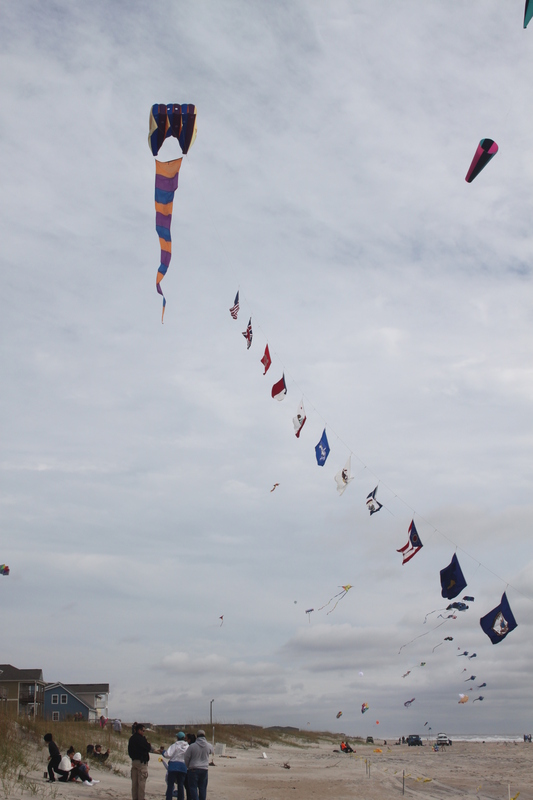 Most of the kite flyers didn’t bring kites out because the wind was too strong. Us included. So the day was spent visiting and making the let of the feather trades. 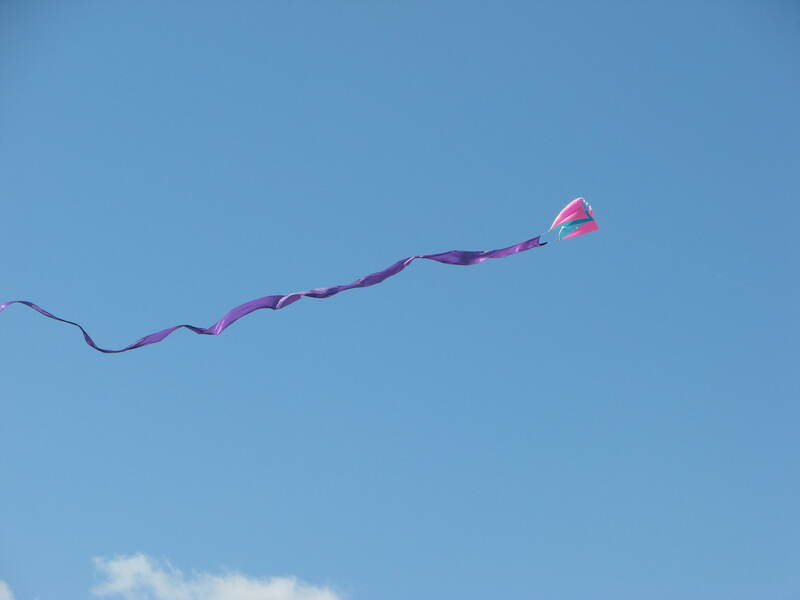 There were flyers who had kites that could handle the wind so all was not lost. It was truly an enjoyable trip. We are planning on going back next year. And staying an extra day to get in some more flying and visiting. Here’s hoping the weather is more Florida-like than this year. That is sunny, warm and dry.